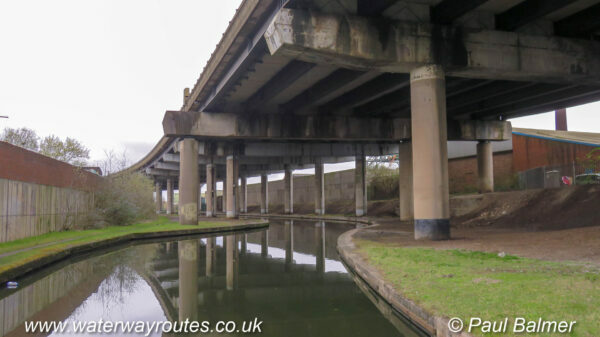 M5 Motorway strides over the canal. There are several stretches of the Old Main Line when the M5 Motorway provides a roof over the canal. Handy to keep the rain off, or provide shade on hot summer days.